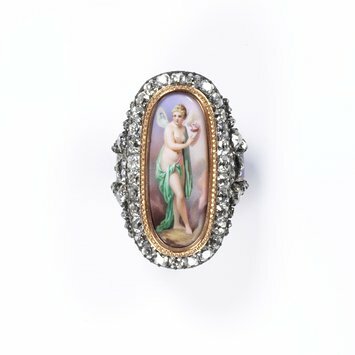 In this post, I will show some examples of some (but by no means all) types of enamel work used in antique and period jewelry. 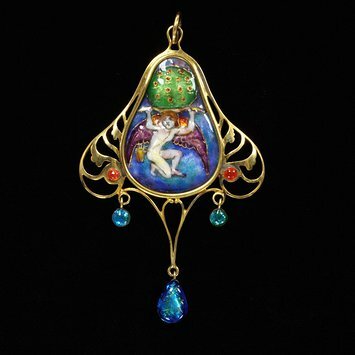 Please also see my previous post ‘Enameling Techniques of The Art Nouveau Period’. What is really amazing to me is just how many different types of enamel techniques there are. I am sure there are many that I have missed here; I will try and add them to this post over time. 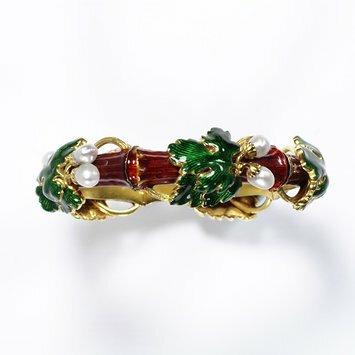 In cloisonné the outlines of the design are the result of the tiny ‘cloisons’ or cells that contain the enamel. These cells are shaped from thin gold strips. In this technique, designs of translucent enamel are painted over foil to give an amazing effect. 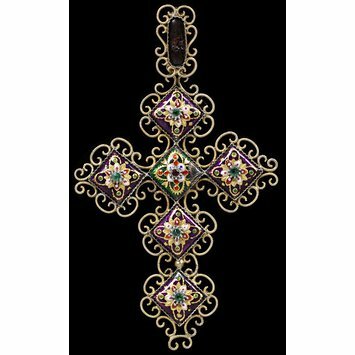 This kind of enamel work is created with no metal backing, hence the translucent and stained glass like effect of the end result. 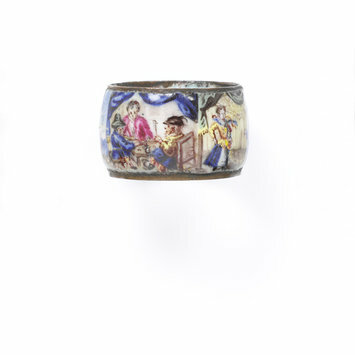 These kinds of enamels came from Bourg-en-Bresse in France during the 19th century. 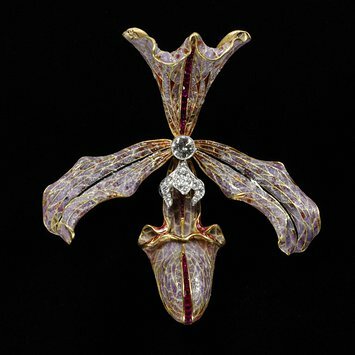 They were created with individual plaques of colorful enamel made with separate drops of colour and tiny shapes made from gold leaf. 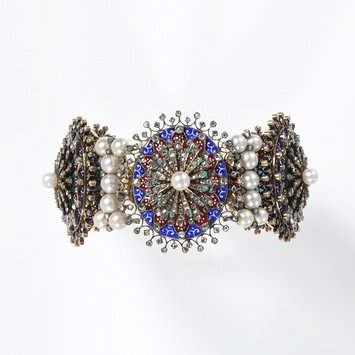 These plaques were set in jewellery as if they were precious stones, often with a tiny stone in the center of the plaques. 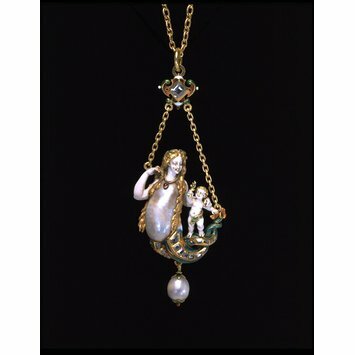 This type of enamel is when a small, three dimension figure is created by enameling a framework of gold or silver or wire. 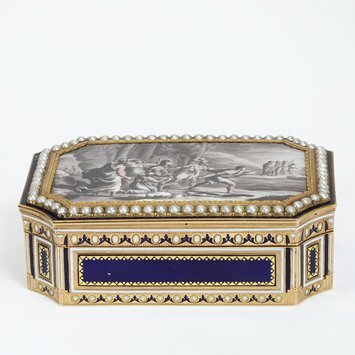 Basse-taille is created by engraving the design into the metal, usually gold or silver. The entire piece is then covered in translucent enamel so that the engraved low relief design shows through. 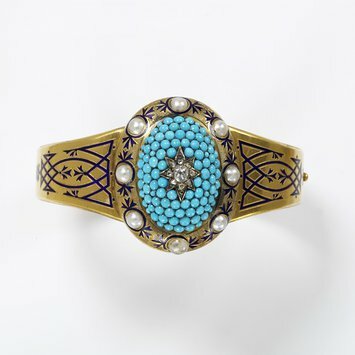 In this enamel technique, designs are engraved in the metal and then filled with enamel, usually blue or black. This is when the enamel is applied to the metal in the same way an artist would apply paint. 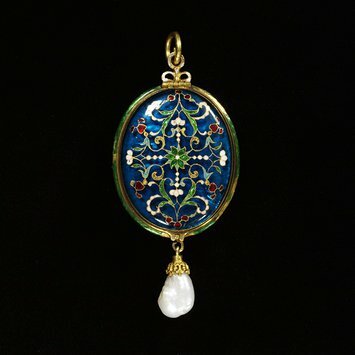 In this type of enamel work, the design is incised on rock crystal or glass paste and the incisions lined first with gold and then with opaque or translucent enamel. This is a technique where a monochromatic image is created using layers of white and grey. Usually used in snuffboxes etc. 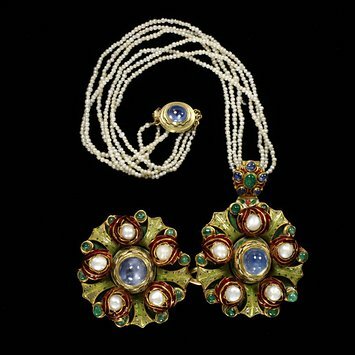 Gold decorated with brown camaieu enamel, surrounded by a border of seed pearls. This is a technique where a monochromatic image is created using a black background. Usually used in snuffboxes etc. 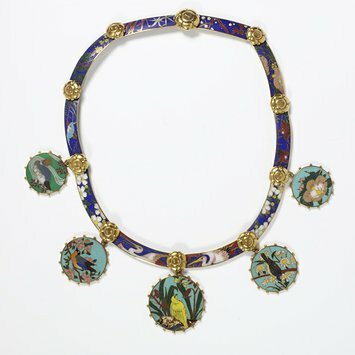 Niello is usually classified as a kind of enameling technique although it is not a true enamel. 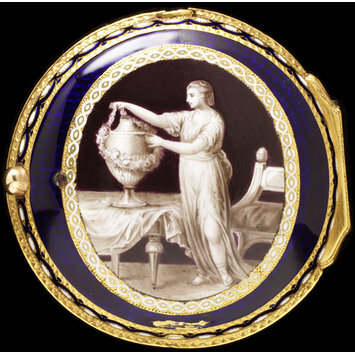 Instead of the powdered glass enamel, a mixture of sulphur, lead, copper and silver is used. The design is engraved in the metal and then the mixture is applied. The piece is then fired. When it is polished, all of the mixture is removed apart from that which is left inside the engraving. The result is always black; niello looks different from black enameling because it doesn’t have the same glassy effect and is more metallic seeming.